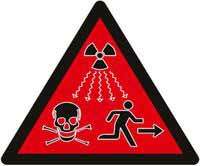 Radioactive waste – depleted uranium headed for Nevada? t he materials also included the military explosive C4, dynamite, and what appeared to be depleted uranium. Some of these areas are so irradiated that they will be uninhabitable for millions of years. And this is one of the main issues of the Iraq war, but no one wants to talk about it. Many are asking whether this spike could be connected to contamination caused by the use of depleted uranium in the bombs and bullets used by American forces. one major obstacle is standing in the way of these assessments – the refusal by the US to release data on exactly where the weapons have been used and in what quantities. At present, states that use uranium weapons do not have to disclose quantitative or geographical data about their use – no where, no how much, nothing. the “new nuclear South” may be content with cheaper, quicker produced DU (Depleted Uranium) weapons, and of course the almost instant Dirty Bomb potential of large civil reactors in the national territories of their regional rivals and enemies. The VA, however, never conducted the medical tests, which may have deprived hundreds of thousands of veterans from receiving medical care to treat cancer and other diseases that result from exposure to DU. The litigation itself has been expensive for the government. DOJ has spent $29 million in attorney costs, $111 million on experts and $52 million in litigation support costs, with no end in sight.